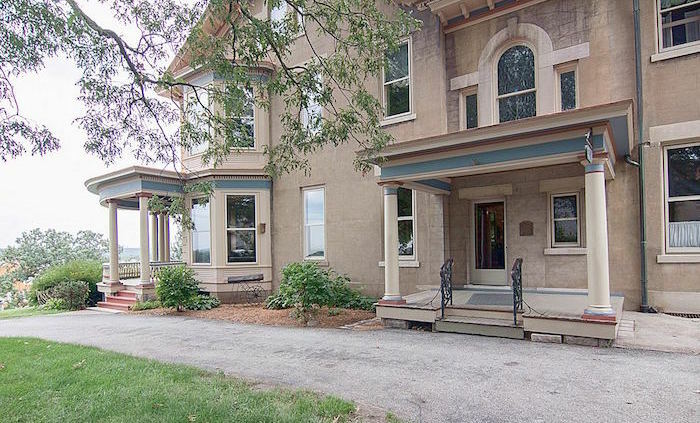 It was once known as “Davenport’s Finest Home,” and today many would still consider it a great piece of architectural history. 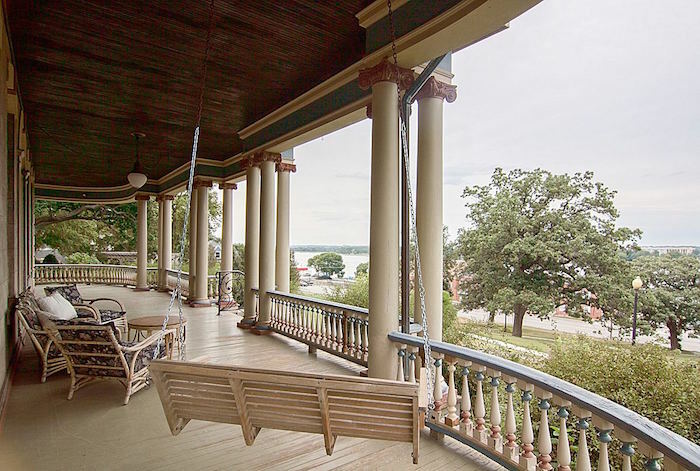 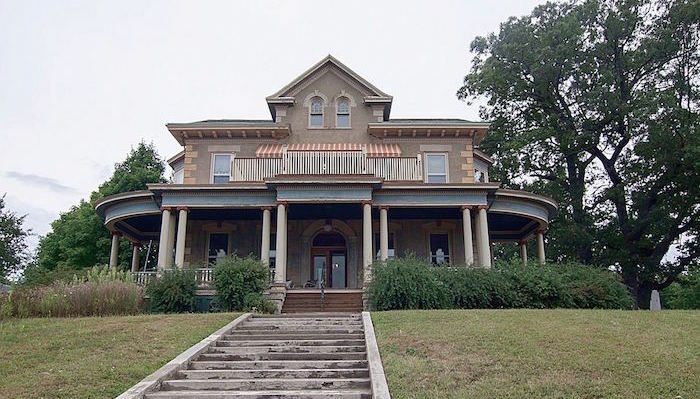 Made of native field stone, this A.C. Fulton Vernacular Italianate residence stands prominently on the bluffs of the Mississippi on a generous 1.75-acre estate. 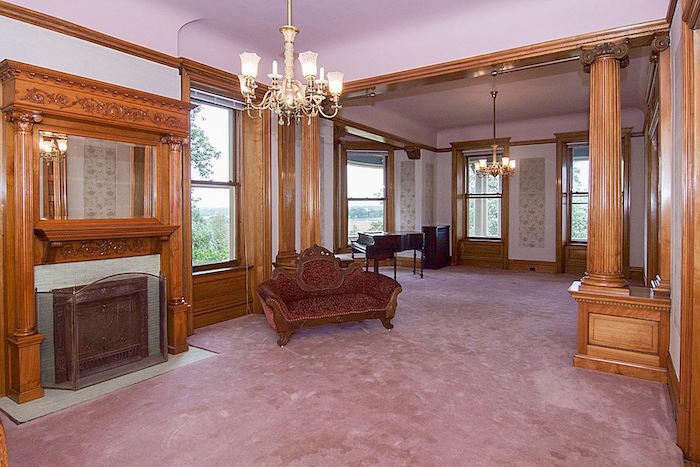 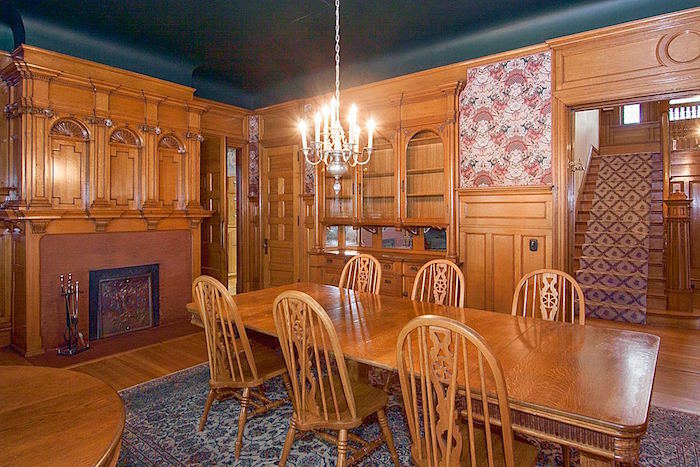 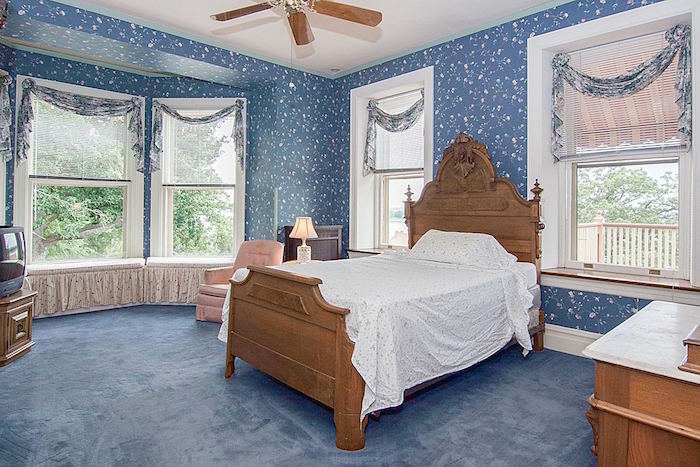 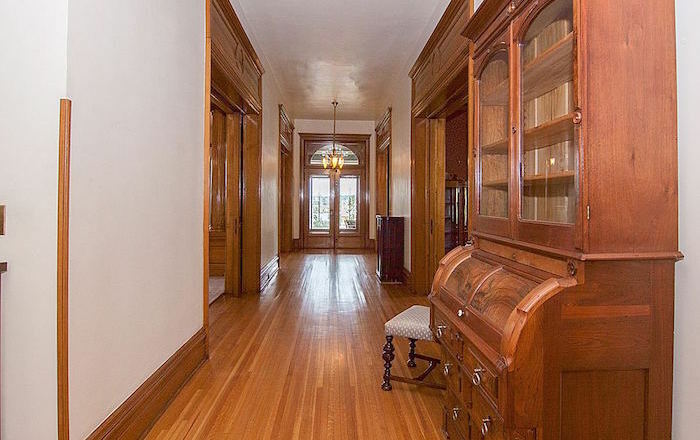 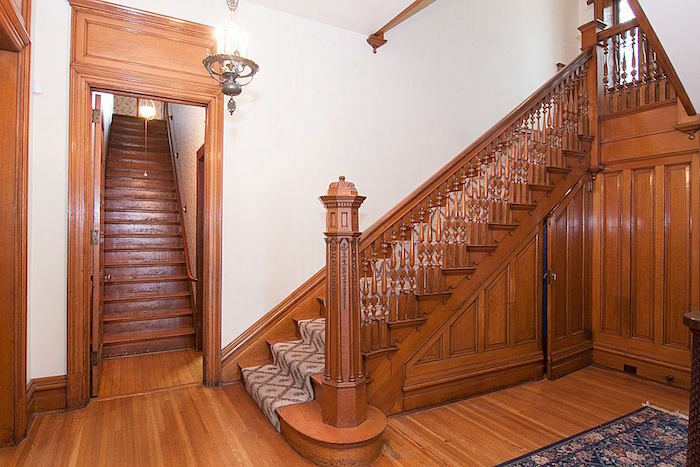 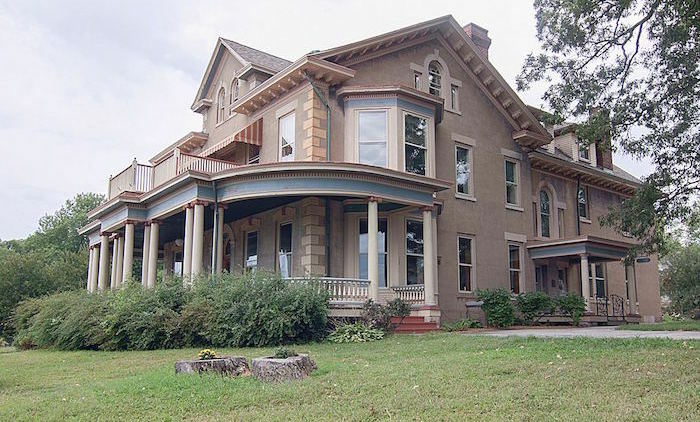 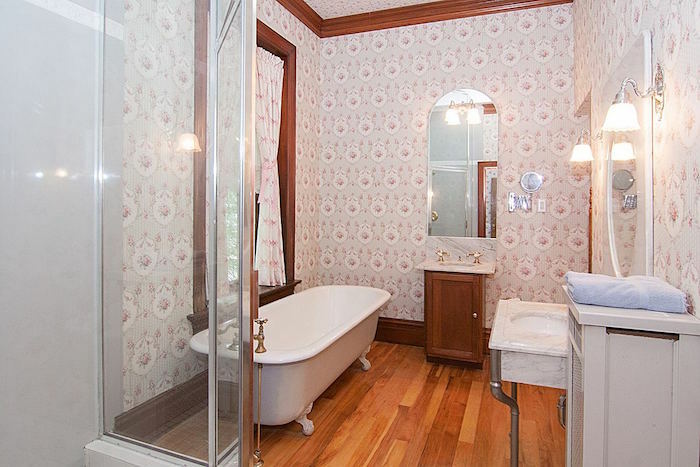 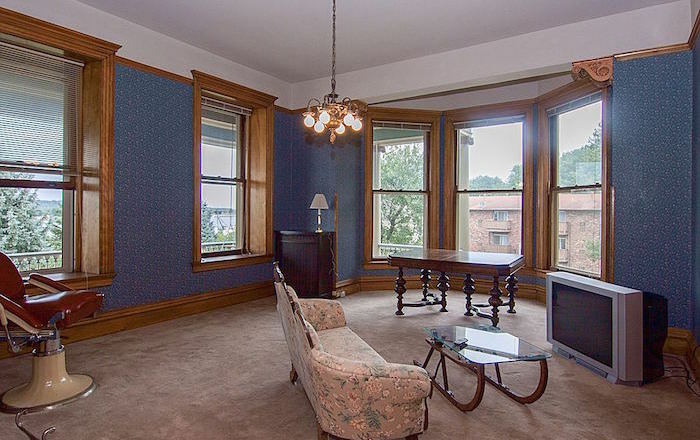 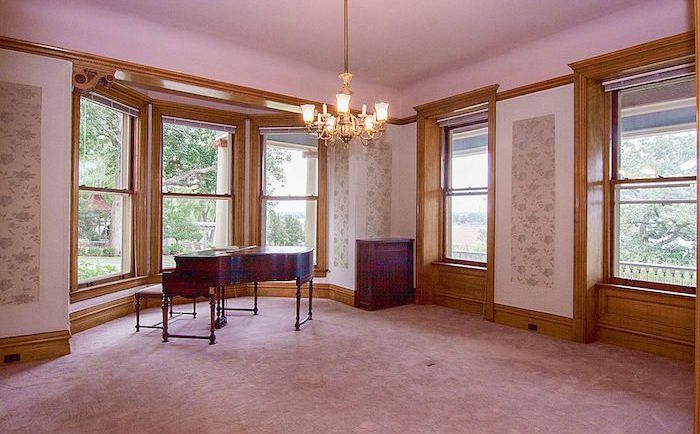 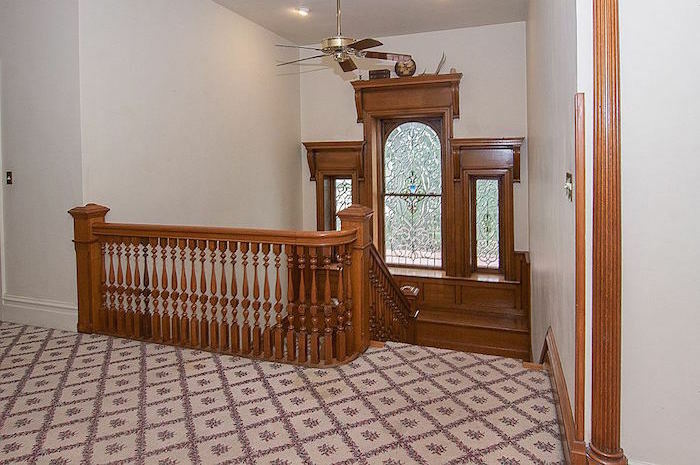 It was built in 1877 and still features many of the original details such as stained glass windows, light fixtures, extensive woodwork, fireplaces, and pocket doors. 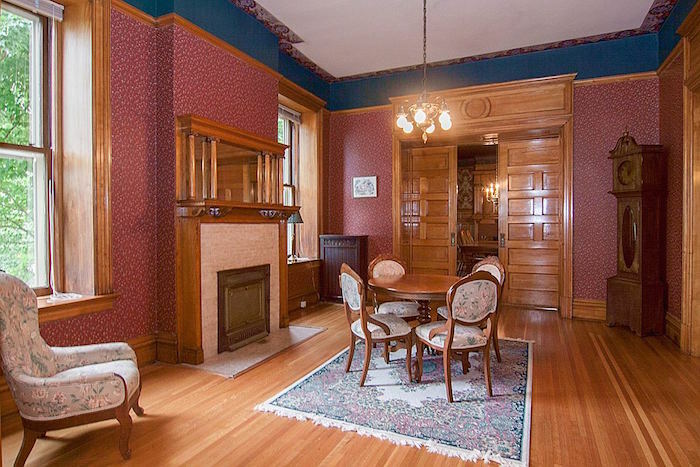 One member of Mansions Of The Gilded Age pointed out that the wallpaper in the home’s dining room is Morris and Co’s Strawberry Thief crimson/slate, which was designed in 1860 by William Morris. 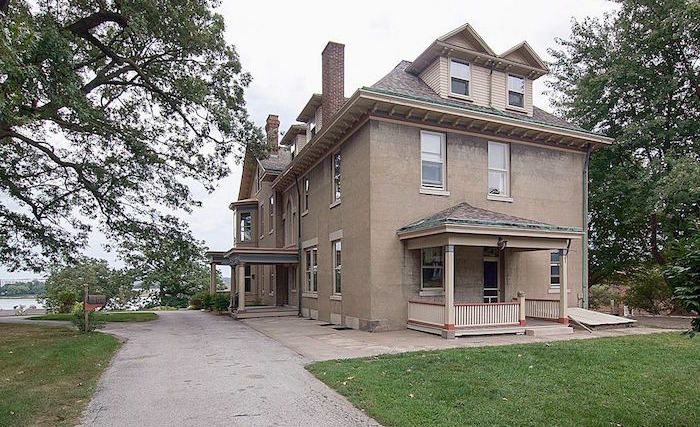 The home offers over 6,500 square feet of living space with 5 bedrooms & 8 bathrooms, while the attic includes an additional 2,400 square feet. 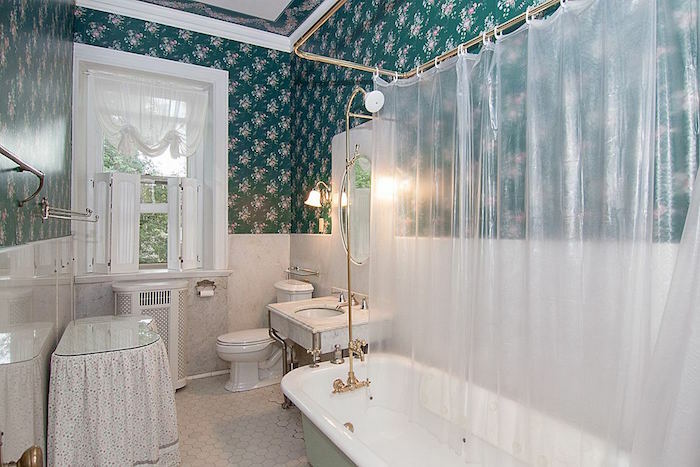 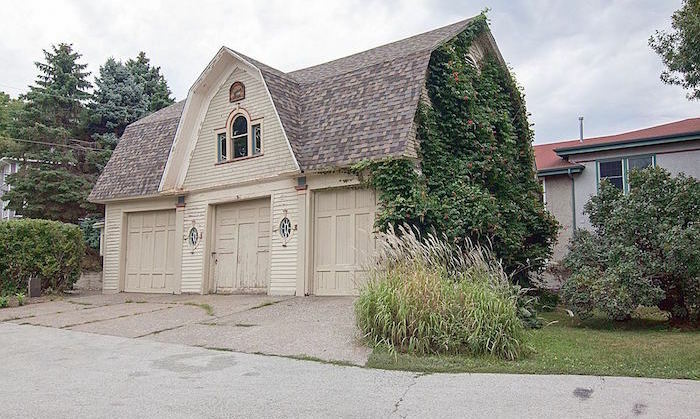 When the property first came on the market in 2008 it was asking $699,000. 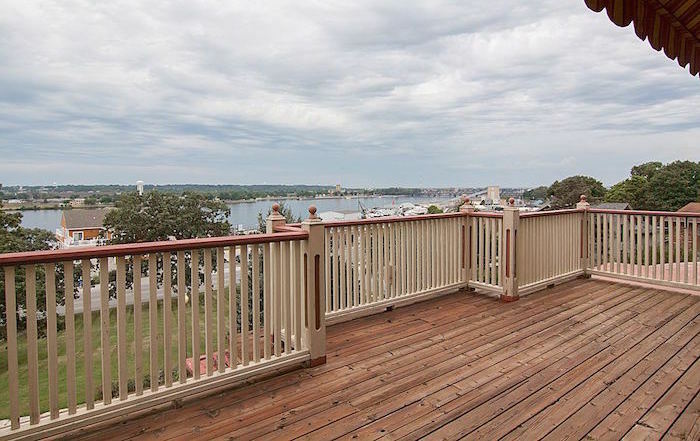 Today, after numerous price reductions, you can call this impeccable residence home for just $425,000. 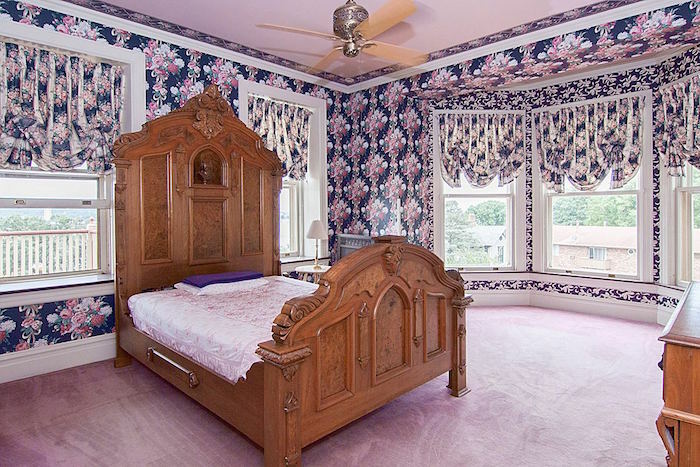 Scroll down to see inside. 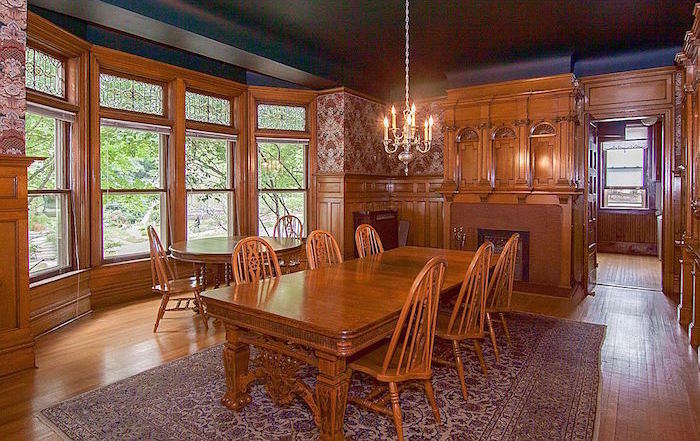 The home is listed with Keller Williams.